It feels as though I have been running every day, and unfortunately I haven’t had a chance to update my little space here. Fortunately, my mother is feeling much better, and so I’m very thankful for that. And luckily, in between all the running around, I have been able to finish a couple home projects, one of which I am soooo excited about!! Remember being a kid and playing with your coloring books, markers and crayons, and then discovering that you had amazing blank canvases in your house where you could create your brilliant works of art? You probably also remember the big trouble you or your siblings got into for turning those walls into your childhood art gallery. You have probably seen recent home improvement blog posts like this one on Apartment Therapy about kid-loving chalkboard paint and chalkboard walls in homes that provide hours of entertainment and a true gallery for their masterpieces. I decided to use the chalkboard paint to create a functional wall in my kitchen, where finding a lose clean piece of paper nearby while I’m cooking or cleaning is nearly impossible. Now I have the best and most convenient post-it-note ever!! Now I never have to worry about jotting down a quick note to myself that I’m out of milk, peanut butter, olive oil, paper towels or anything else that I notice I need throughout the day of cooking, cleaning or other. And not like when I was a kid, this girl will never get in trouble for drawing on this wall! 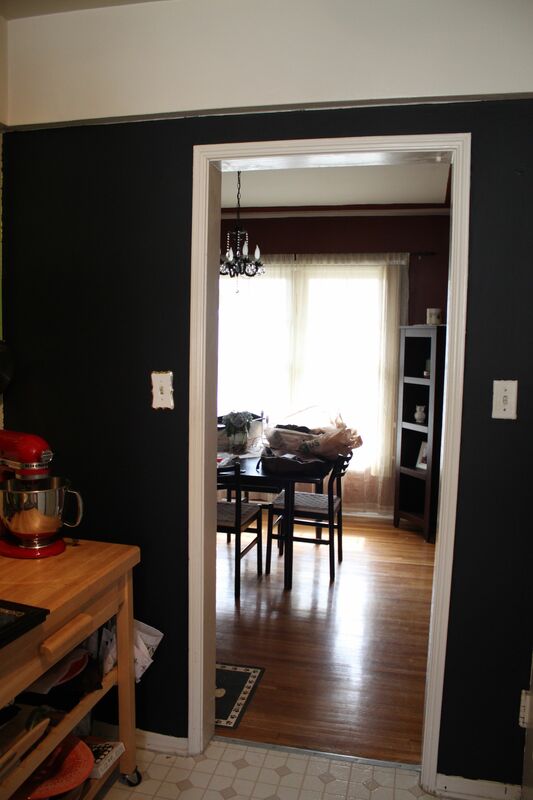 You can find chalkboard paint at your local home improvement store like (my personal favorite) Lowes. Depending on the size of the wall you want to paint, it can take you a few minutes to prep the wall with sandpaper and tape the trim, and twenty minutes to paint a first coat (it will go on very streaky and thin, but that’s okay – a second or third coat will cover it beautifully). After an hour or so, you can paint a second coat, and after another hour a third if you need it. Then two or three days later, you can christen your chalkboard wall by writing on it with chalk and wiping it off, thereby dusting it and making it ready for your everyday scribbling, drawing and reminder note writing! Do you have a chalkboard wall? 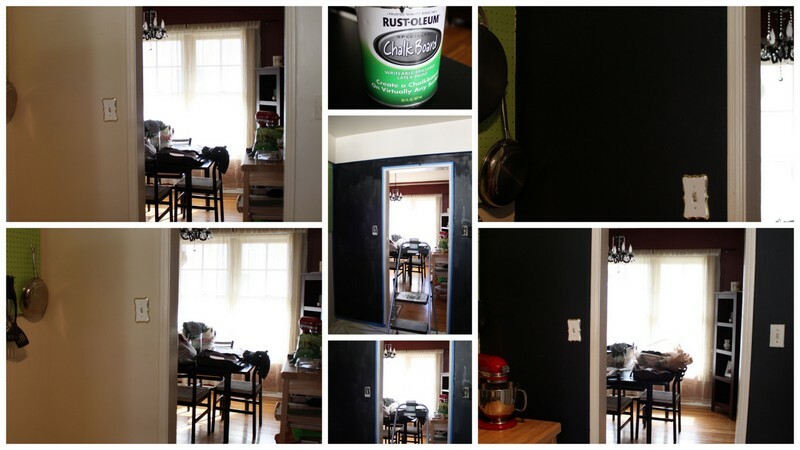 Where would you paint a chalkboard wall? And who would use it more in your home, you or your kids?? I hope you have a wonderful holiday weekend, bon ami!! This entry was posted in le decor and tagged decor, DIY, home, kitchen by rebeccawenstrup. Bookmark the permalink.